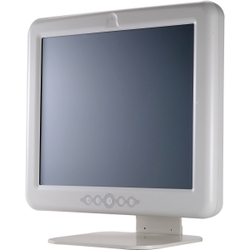 This new Fanless All-in-One Medical PC with its impressive worldwide medical certifications including UL60601-1 & EN60601-1 is ideal for hospitals and healthcare facilities for both patients and practitioners. Complete Fanless design will help improve total system's reliability and reduce noise. With IP65 front bezel certification and design, iOne-MP172 may be sprayed and wiped down without the risk of damaging the computer. The special Anti-Bacteria coating will help keep the Operating Rooms and other important areas sterile. If you are ready to deploy new PCs in your OR, ER or on medical carts, the iOne-MP172 is ready to perform.